SAPULPA, Oklahoma - After being closed for more than two weeks, the Arby's in Sapulpa will reopen with a party. 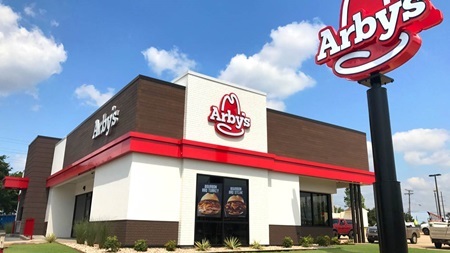 Tulsa's United States Beef Corporation, the largest Arby's franchisee, says the restaurant closed on August 21 for an extensive remodel. It will reopen on Wednesday, September 6, 2017. The redesigned restaurant will be able to seat 70 customers. US Beef CEO John Davis said the restaurant opened in 1975 and it was time to bring it into the 21st century. “Remodeling it gave us the opportunity to undergo an extensive reinvigoration process, reflecting major elements of the new 'Inspire' look and direction of the brand," Davis said. The new restaurant will feature state-of-the-art Energy Star compliant food service equipment, with extensive LED lighting technology. The reopening event takes place from 10 a.m. to 1 p.m. on Wednesday, September 6, 2017, with customers getting the chance to spin a prize wheel to win free food and other prizes. News On 6 partner KMOD 97.5 FM will be broadcasting live from the restaurant and giving away station swag, too.